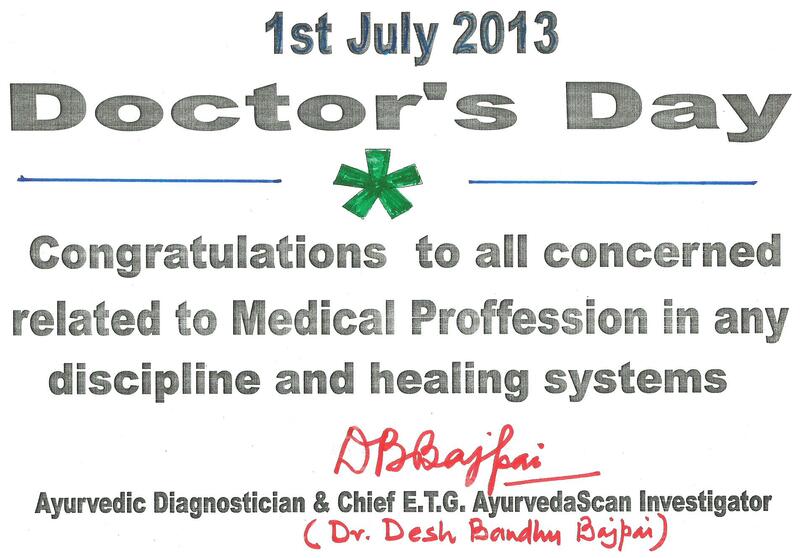 Doctor’s Day ; Ist July 2013 ; Why not all recognised medical system’s medicaments could be used for benefiting to patient ? Every year on !st July in India , Doctors welcome and celebrate DOCTOR’S DAY in memory of Dr. B.C. Roy of West Bengal, an eminent Physician and Surgeon and ex Chief Minister of West Bengal State, a legendry one, who served the people by his soul and heart. Now I have almost completed 50 years in medical practice and when I see an imaginery back look to past, I find many many changes in medical system, which have never been imagined before 50 years. I started my practice with Allopathic medicines. Being a graduate of Ayurveda and Homoeopathy, seeing the lure and glamour of ALLOPATHY, I choose Allopathy for practice. The Uttar Pradesh Government had passed a G.O. 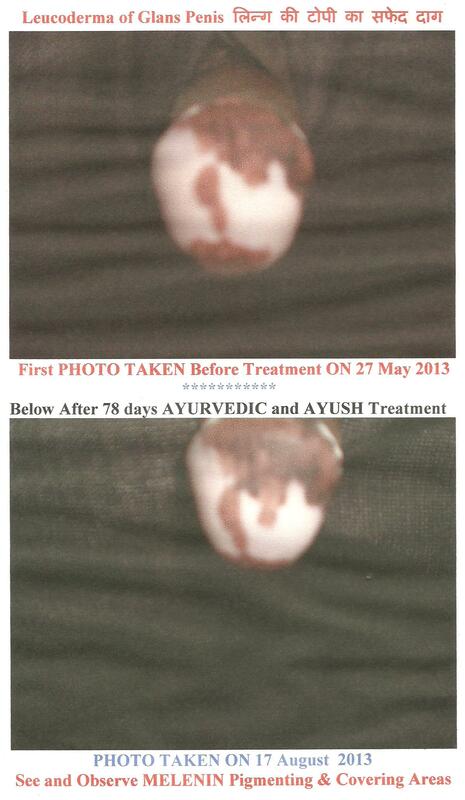 for using Allopathic medicines by Ayurvedicians in limited manner. Therefore I was having opportunity to use Allopathic remedies. My Father was practicing AYURVEDA and HOMOEOPATHY simultaneously, which I see and observe in compare to Allopathic medications , which I give to my patient. I have many Allopathic practitioner’s friends, I discuss about the cure of disorders. I practiced Allopathy about 4 years, but was unsatisfied with the practice, as comparatively I see in Ayurveda and Homoeopathy. In 1973, I went to Munich, Germany for study of Homoeopathy. I was studying Homoeopathy in Munich , Germany in Krankenhaus fuer Naturheilwiessen, Harlaching. Dr Med Walther Zimmermann was Chefartz [ Chief Medical Officer] In this Hospital. It was a highly sofisticated facility providing Hospital and medical service to sick persons, comming from every corner of Germany [ Deutchland], where pre fix consultation was necessary. I and Dr Abbe, Dr Schimmel, Dr Klostermein, Dr Frankestien and few others was in my batch, including me some others belongs to European countries. To my surprise, when it came to my notice that all the students of my batch are M.D. [Doctor of Medicine] in Allopathy [Modern Western Medicine and Surgery] and came to this Hospital for studying Homoeopathy as “speciality medicine”. European M.D. Degree is far differ to Indian M.D. European M.D. holder completes his courses in 7 and half years at that time. [ If there is any changes now, I can not say] A Doctor is well experts in Medicine and Surgery both. All the students studies Homoeopathy with Allopathic pathological investigation like X-ray, ECG and pathological findings. I was heard that Siemens , Munich, Germany have launched an Ultrasound machine for diagnosis at that time. I went to see this machine some where in University Hospital. When I came back India, I converted my parctice from Allopathy to Homoeopathy and this practice is continue. Dr Abbe , who was my collegue in Germany, studying with me Electro Cardio Graphy and Roentegen [ X-ray is called Roentegen in Germany] with other pathological examinations done at the hospital necessary for the patient indoor and outdoor both. Dr Abbe always read cardiogramm traces with me ,using measuring devices fo recorded traces and interpreted immidiately , whether the patient is having any cardiac problem or not. X-ray examination immediately interpreted by the senier doctors of the Hospital and collaboratively shares the interpretation. This was the first introduction of ECG machine and on work with the machine , done by me in Germany. Later when I came back I tried to bring the machine, but it was a very very difficult task at that period. Afet comming back from Germany, I tried too much for arranging an ECG machine, but I failed, because at that time , it was costilier item for doctors. Later years I arranged an ECG machine and worked on it. The Idea of quantification of the status of Ayurvedic Fundamentals Prakrati, TRIDOSHA etc came after that, which I have naraated several post in this blog. 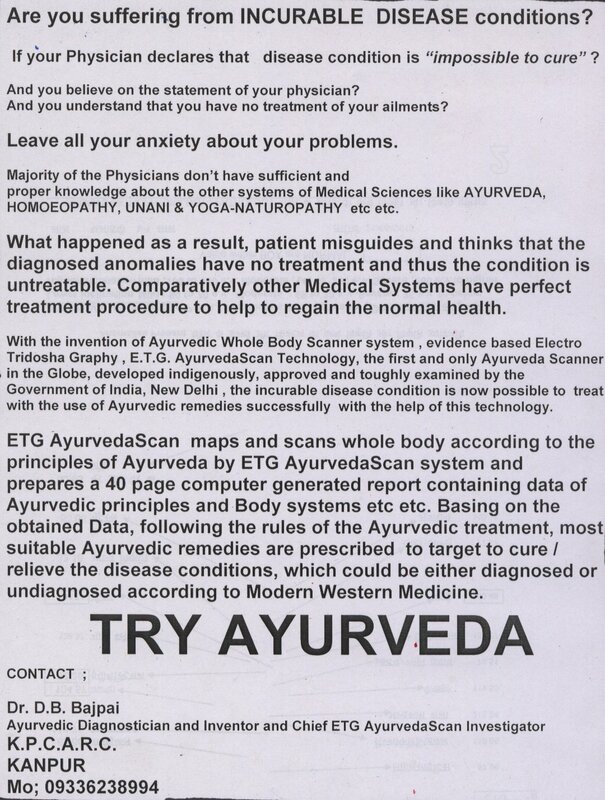 After invention of ETG AyurvedaScan technology, I adopted Ayurveda practice and now I practice Ayurveda, Unani, Homoeopathy and Allopathy [ a little bit for patient relief and not full fledge treatment] simultaneously, because ETG AyurvedaScan provides comprehensive data of whole body and in three dimensions. I am treating INCURABLE DISEASE CONDITIONS / Undiagnosed disease conditions successfully with the help of ETG AyurvedaScan findings. Anybody should not be confused with the last stages or before last stages of diseases conditions, which are not treatable, with my this statement. Fourth stages and badly maltreated cases by Surgical interventions are not taken by me for treatment purposes. Use of all system’s medicaments can be helpful to Patient. The great benefit is to physician, that he will get an every level and intensity level medicines for the selection to avoid any future anomalies to patient as it is happening with the side effects of Allopathic medicines. I have good experience of using Allopathic medicaments in case of severe painful conditions, Higher temperature, Infection [ Some times Viral and Bacterial infection is not controlled by Ayurvedic and Homoeopathic medicines. Fungal and parasytic infection can be controlled by Ayurveda and Homoeopathy medicaments], in Emergent conditions [ some condtitons can well responded by Homoeopathic and Ayurvedic medicines ] and much more. Infact, the use of medicine is depending upon the caliber of Physician, who is tackling the patient and how physician percieves the ailing condition.